Who doesn’t feel stressed or anxious at one time or another? From huge work and study loads to simply surviving the morning commute, it seems that our lives are getting inherently more stressful. But too much stress can take its toll on the immune system and affect our health in ways we may not even realize. It’s not always possible to eliminate the cause of stress though, so sometimes we have to learn to manage that stress and not let it take over. While no food directly reduce your stress levels, there are a few that seem to help people feel slightly better on a daily basis. Just changing your diet isn’t enough to completely tackle anxiety, but these foods may give you a small mood boost during the day. Many people who are stressed reach for a calming cup of tea. 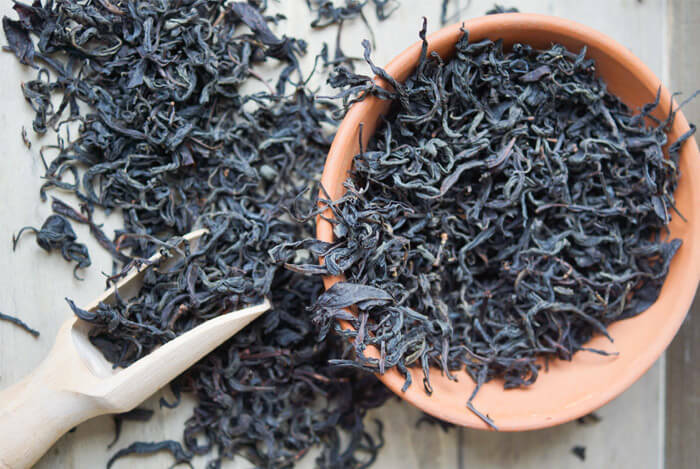 It’s not just an old wives’ tale – science backs up tea’s soothing abilities. In one study, 75 healthy males were divided into two groups. Over six weeks those in one group drank four cups of tea daily, while the others had a caffeinated beverage without tea’s other ingredients. They were then exposed to ‘everyday stresses’ while their stress hormone, blood pressure, heart rate, and self-reported levels of stress were monitored. Those in the tea group recovered much quicker from the effects of stress exposure than those in the placebo group. Green tea is another option if you can’t stomach the black variety but want a warming and comforting drink. Green tea contains l-theanine, an amino acid that has anti-anxiety effects. Research published in 2006 states that animals studies suggest that l-theanine increases brain serotonin and dopamine levels, as well as GABA levels – all substances that have a positive effect on our mood. 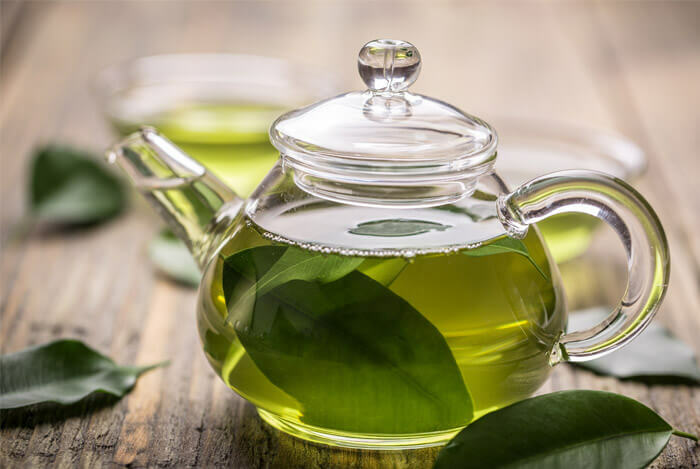 Other studies have shown that the polyphenols in green tea have anti-depressant like effects, which further boost the mood and protect against stress. Green tea has also been associated with a lower overall level of psychological distress. 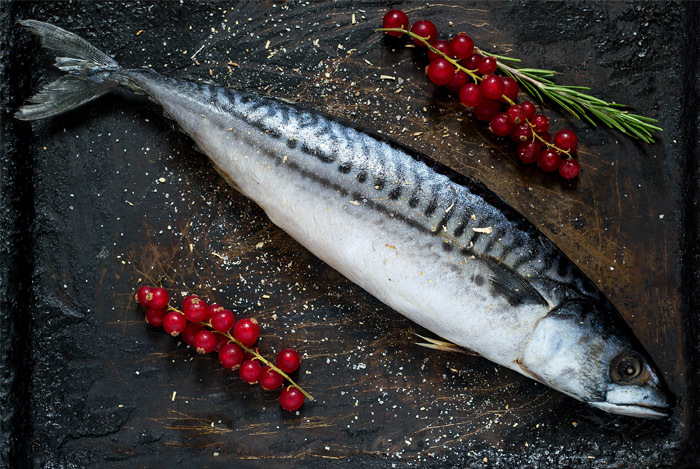 Fish and seafood, especially salmon, mackerel, herring and sardines, are rich sources of omega 3 fatty acids – essential fats that most Americans don’t get enough of in their diets. Of the two types of omega 3 (DHA and EPA), high levels of EPA have been linked with lower levels of depression, anxiety and stress. Several studies, including ones in 2003, 2005 and 2011, have shown that increasing your intake of EPA omega 3 fats improves ability to handle stress and boosts mood. Another study, published in Brain Behavior and Immunity, showed omega 3s led to an impressive 20% reduction in anxiety among medical students – a pretty stressful job I think you’ll agree! What’s your take on managing stress? Have anything else you’d like to share? Let me know in the comments below!